Instant Pot, Hints, Tips & More! 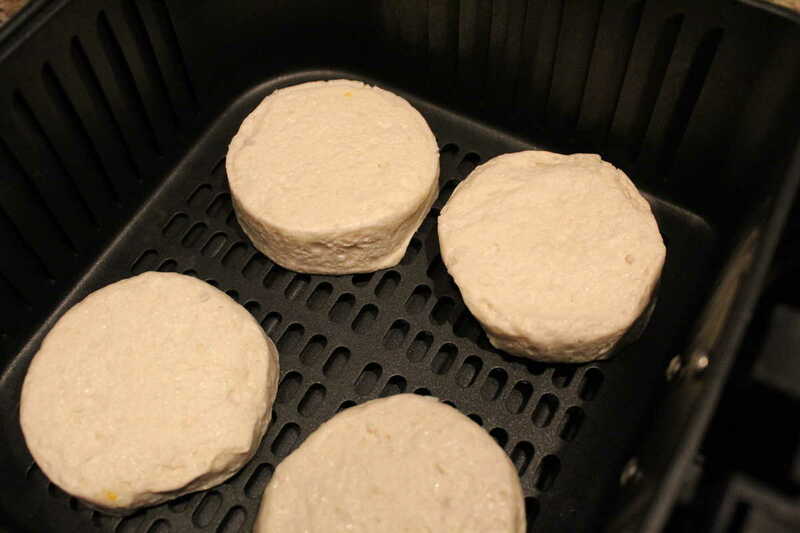 Making bread is easy, I used to make it a lot when my kids were little, and I had a fancy bread machine. 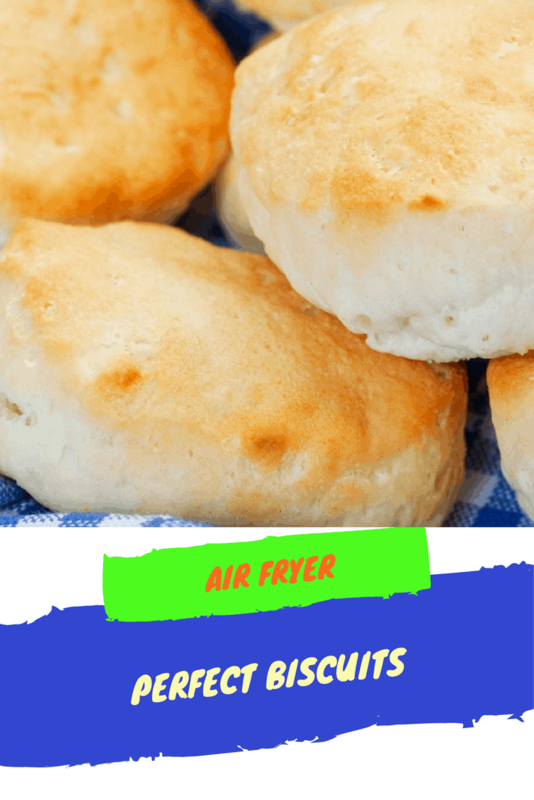 Now, that I am armed with an air fryer, and I love to experiment, I tried this today and the results were amazing. The house smelled wonderful, there is nothing like the smell of freshly baked bread coming from the air fryer. My kids always come running to grab a slice while they are nice and hot and the butter just melts into it. Can you picture it? I told my son, Jason that I would work on making homemade butter in the coming weeks, so be on the lookout for that recipe. I promise you, it’s easier than it sounds, it is so easy you won’t believe it. 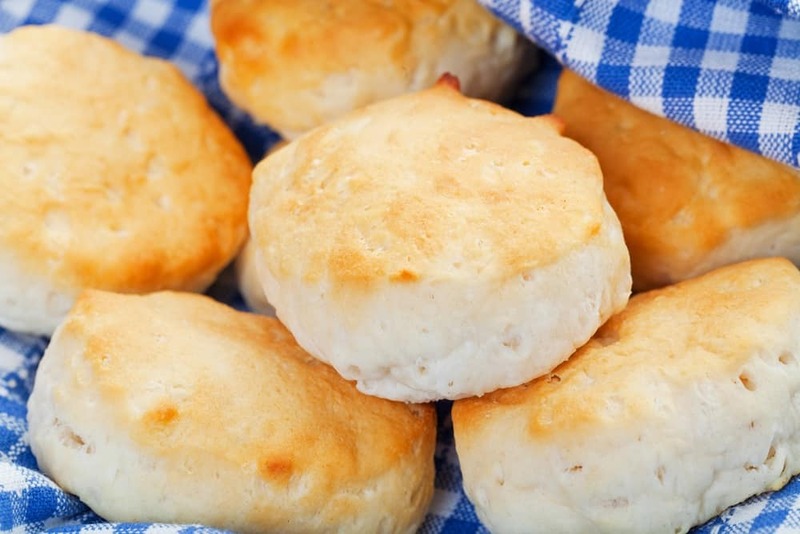 Baking powder biscuits are just as the name says, it’s an old-fashioned classic American biscuit that is light and soft. My mother used to make them so she could split it open and use the leftover biscuits for sandwiches the next day. My kids eat them with a slab of butter in the middle, and in my house, there are no leftover biscuits. You can serve it at breakfast with ham, sausage gravy, here is a great recipe for that, here. You can also use the biscuits as a topping for chicken pot pie, or as a side with a nice hearty bowl of soup. And it also doubles for dessert, using it for strawberry shortcake, just split it, add strawberries and whipped cream, and you are good to go. 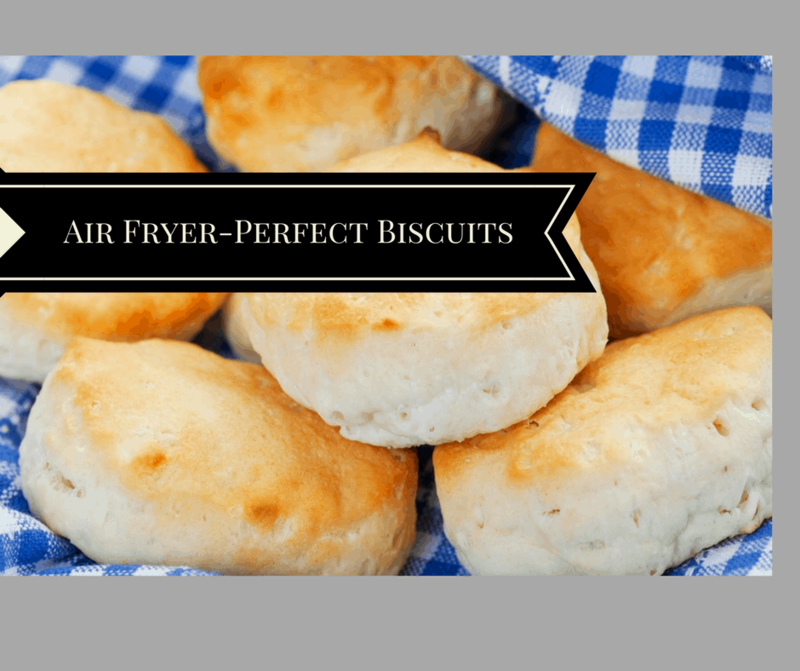 Place your biscuits on to the air fryer plate. Set the temperature to 360 air fry for 5 minutes. Turn them halfway, so you get a nice golden brown over the entire biscuit.